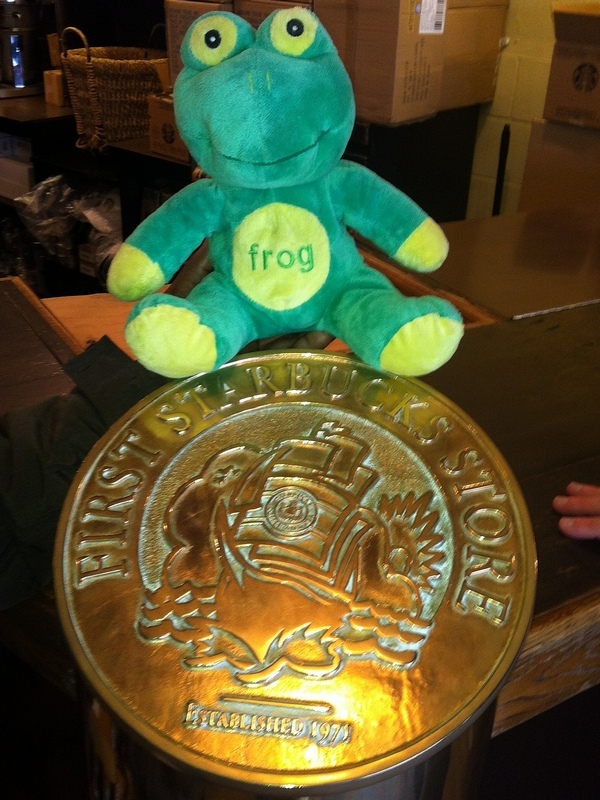 We had a lot to do in Seattle, with a lot of walking so I did not have time to write up the days travel on St V Day. We started the day by meeting up with Ed from Seattle by foot. Seems as though it was not peak session Seattle by foot had organized a personalize tour, based on their normal tour. This was well worth the price, as it gave us a comprehensive and positive experience. We met a SBC, or Seattle’s Best coffee. The Stewart brothers (SB) used to do ice cream, and after adding espresso based goodies, especially of the sweet variety they got into coffee in the early eighties. We went to their store that was opened in 1984. When they one, Seattle’s Best Coffee in 1991, they change the company name of SBC to Seattle’s Best coffee. After a number of acquisitions they are now owned by Starbucks. 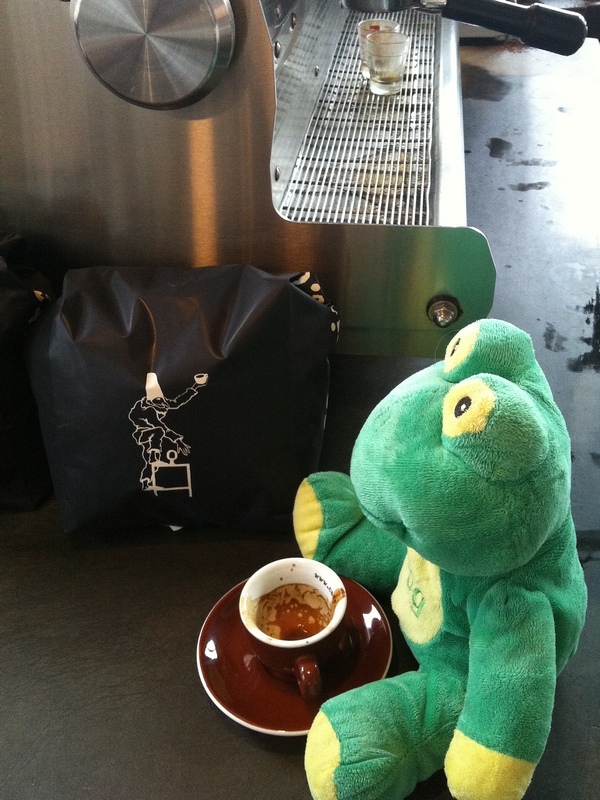 However they have always preferred the lighter more flavourful roasted coffee like we do. As you can see this is the store that is closest to Pike Market Place. 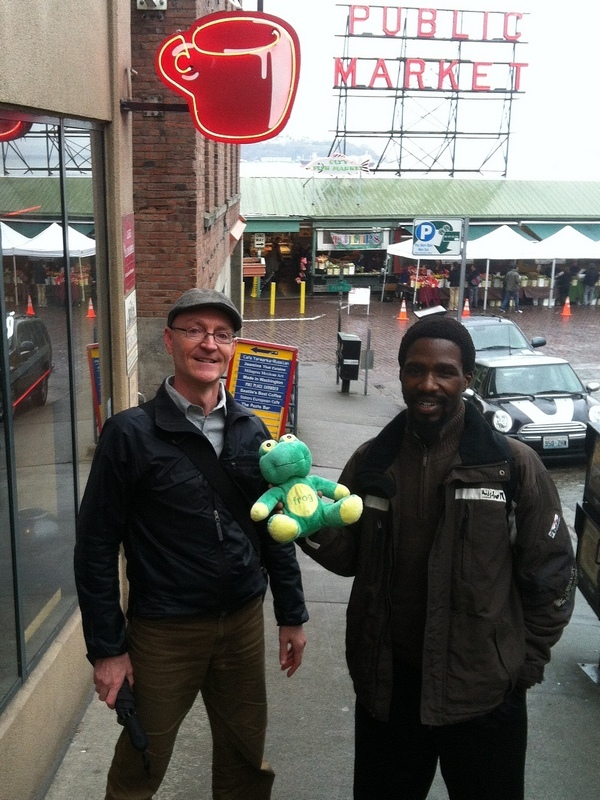 We did take a quick tour of Pike Market Place afterwards, where Ed showed us the one side of the Market. We did go back the next day and take a look, and saw the famous throwing fish. 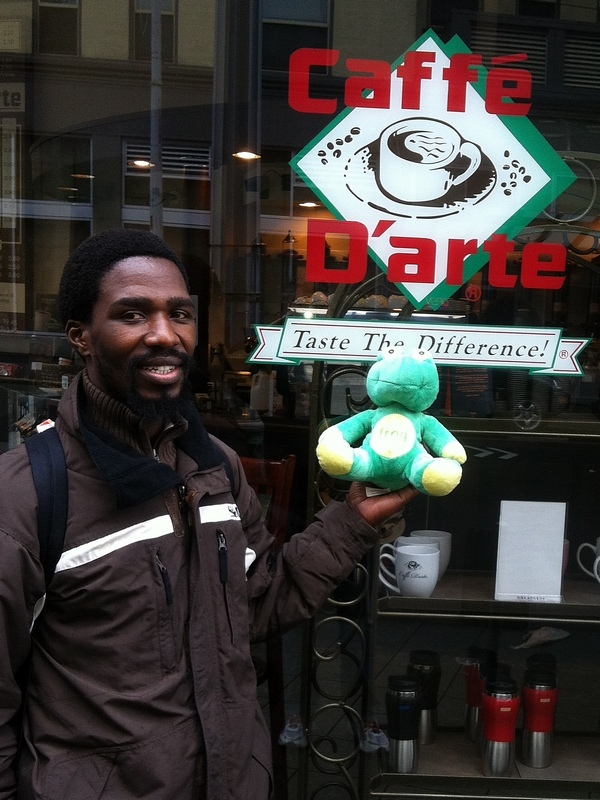 After the market we went to Caffé Darte. They let us sample a few of their coffees. The roast their coffee over a wood fired barrel roaster, so there is a smoky taste in their coffees. We did some latté art, and that is always fun, but we struggle with the milk based coffees. Glad we went there it is more of the second wave or old school coffee house, but having the smoky tasting coffee was different. We did not have any espressos besides the ones in the cappuccinos. We then took a walk to Dilettante Mocha Café, where we had a chocolate based drink, to be totally honest I was more impressed with their chocolate display. We then caught the Seattle city bus to Caffé Vita. Which do pizza, pastries and great coffee. 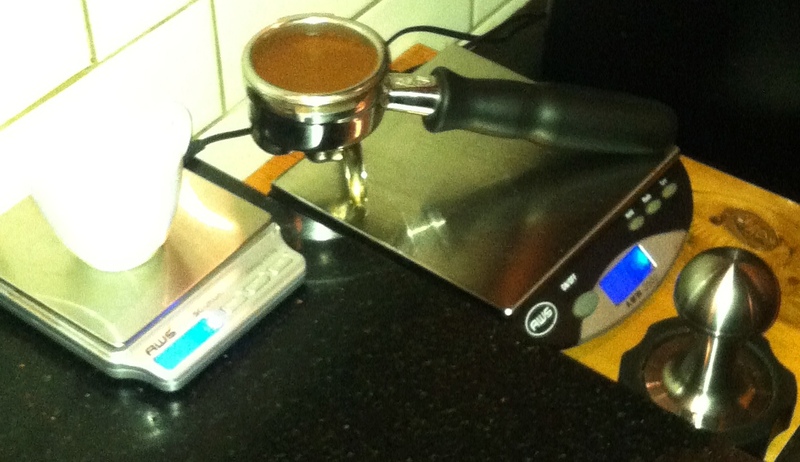 This was the first time I has seen an Espresso machine with a PID for precise temperature control, that also allows a barista to control pre-brew and brew pressure. 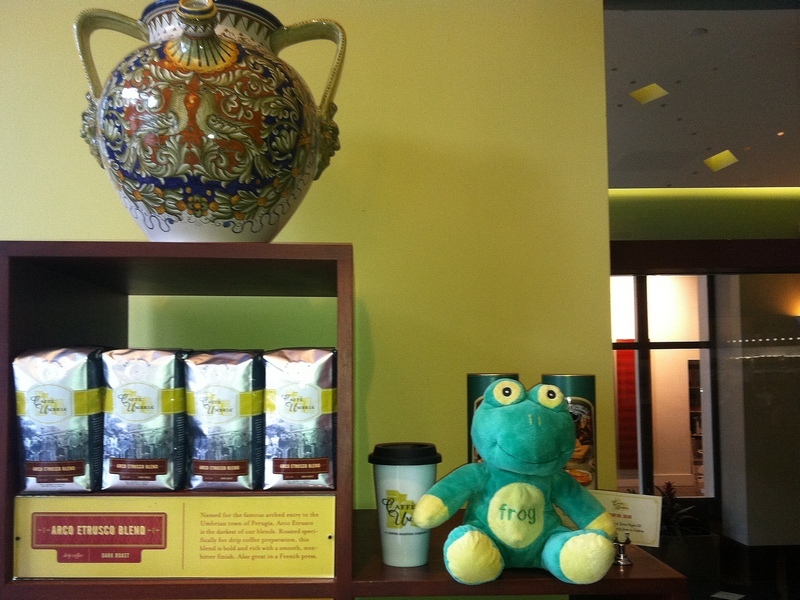 Frog Quaffer enjoy a great espresso or three here. After popping past UPS’s garden and waterfall dedicated to Seattle, we the made our way to Caffé Umbria. They had the original roaster the grandfather had imported. The original company had been bought as part of the Startbucks mass purchase, but the family recently openned up Umbria, since they felt there was a demand for their style of coffee and blend. We had an espresso that was drinkable there. But not repeatable. But the people where very nice there, they where using a La Marzocco Strada, which is the machine that La Marzocco developed as an answer to the Synesso we had seen at Vita. They also told us where to find the VST baskets, which was about a 40 minute walk to Vission’s Espresso, so after saying goodby and thank you to Ed off we went. We then took a walk up to 4th to catch a bus across town to go to Atlas. 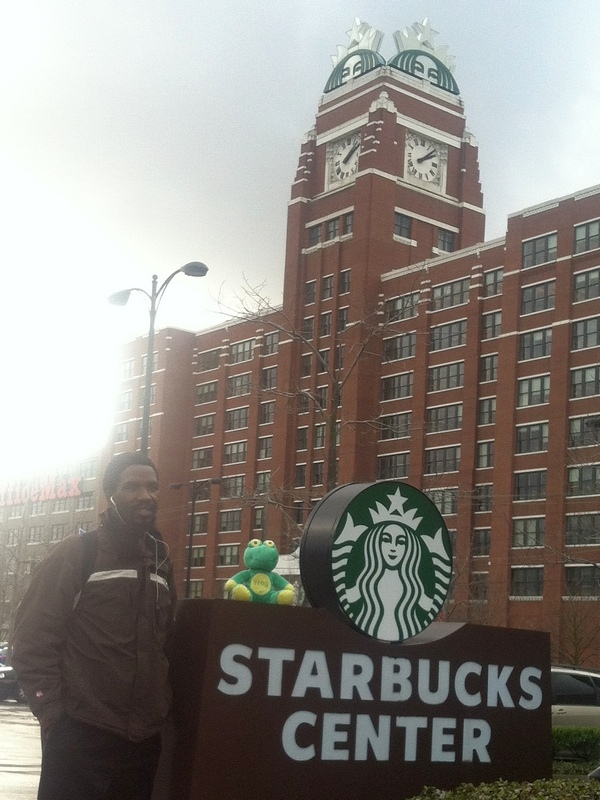 For those that have never been to Seattle, like us this was a little of a surprise. 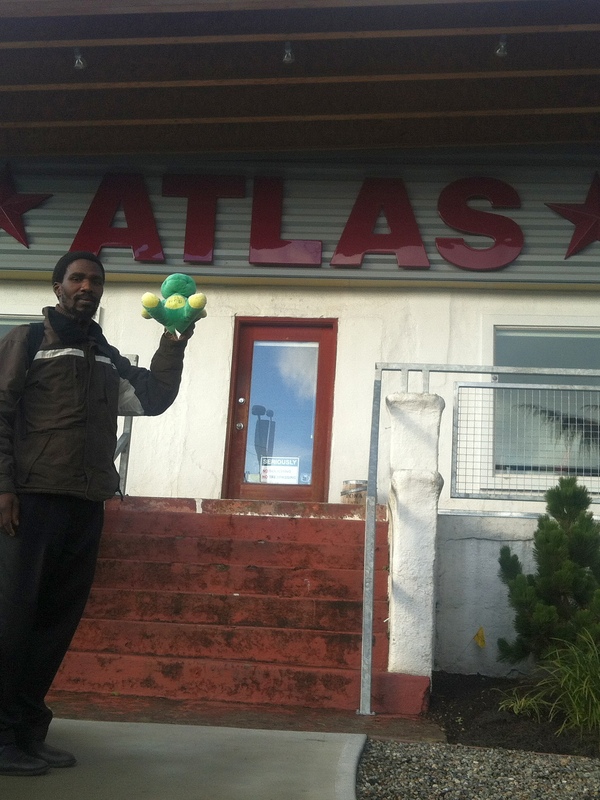 A 40 minute bus drive later, we took a walk down 85th street, and found Atlas Importers. This guys are passionate about traceability and high quality green been. In their reception we found a classic Brasilia. 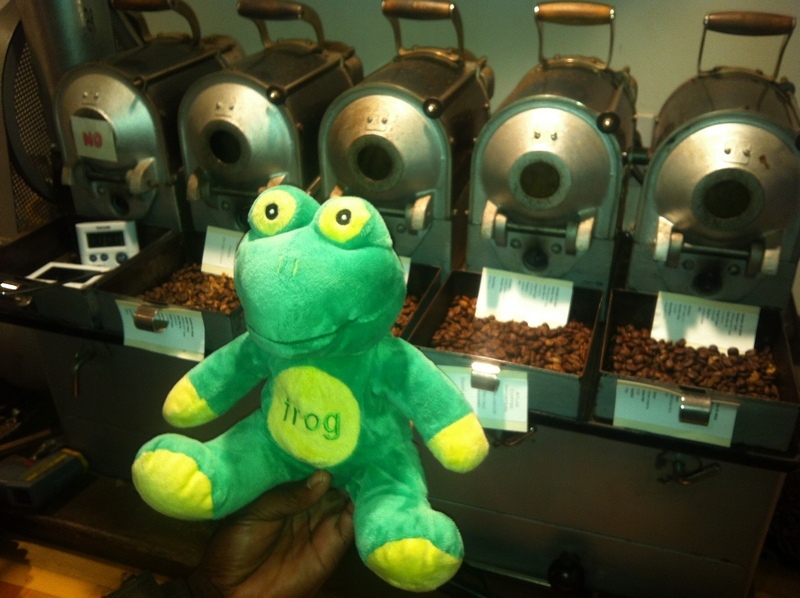 We where shown around their lab, and quite frankly Frog Q was blown away. Attention to detail is evident everywhere. 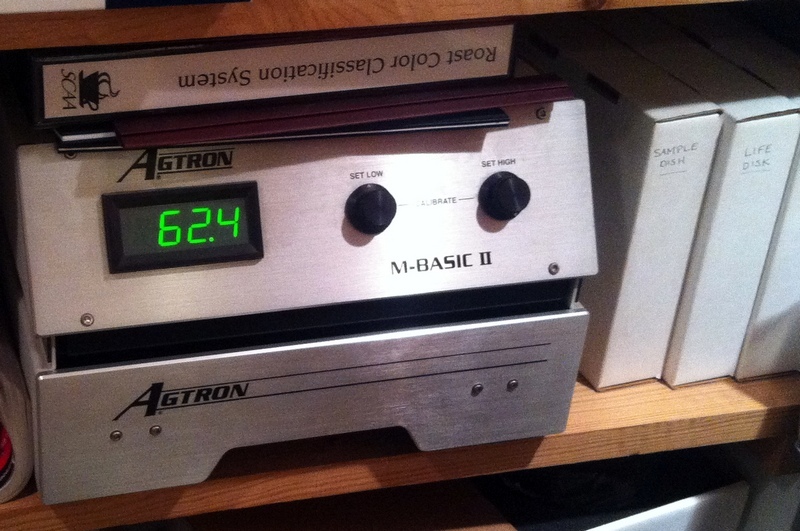 For cupping they use their sample roasters, using the Agtron meter to ensure that they are within the cupping limits. They also check a variety of brewing methods, and had a Strada La Marzocco, the third time in a day we had seen this awesome piece of equipment. Even the agents in South Africa do not know about this product. We really need to wake up and smell the coffee it is only and stale, and badly extracted! See the pressure control levers for controlling the brew! We chatted with Drew and Al there (he currently sits on the SCAA board, not that he told us we found that out later). They work closely with the growing communities, and only bring in coffees that have gone through all their tests. 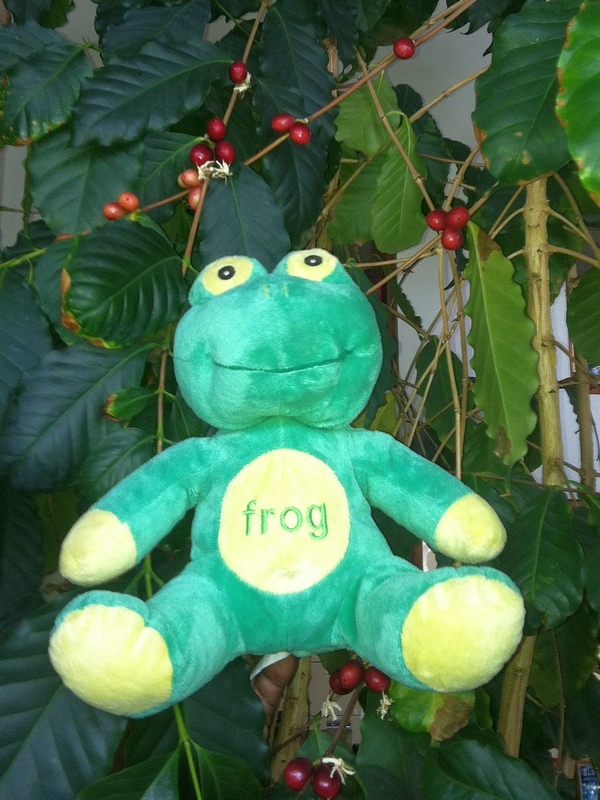 The prefer to deal with growers directly and their big boss was not available as he was in Ethiopia for the East African Fine Coffee Association Conference. Al also recommend Milstead, and said he would drop us off there to try them out. So off we went Milstead. 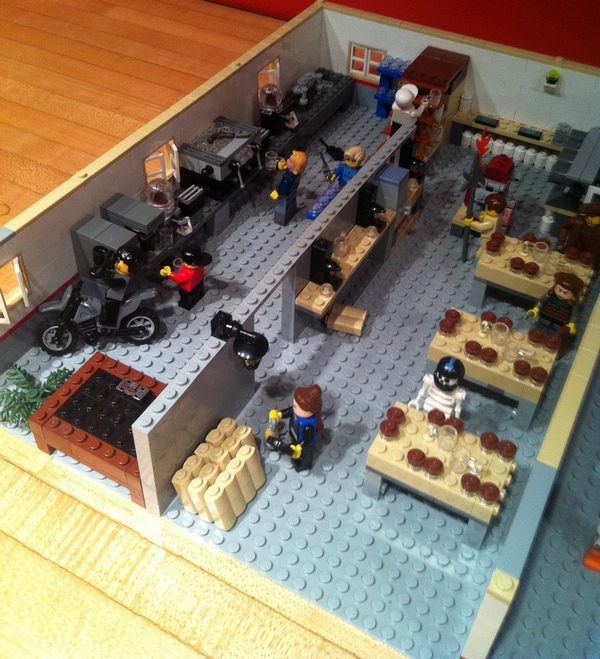 Passion and precision are the drivers at Milstead. They source coffee from 4 different roasters, and each brew is meticulously measured to make sure that the amount of coffee and the amount brewed are perfectly matched, see below the scale they use for each brew. 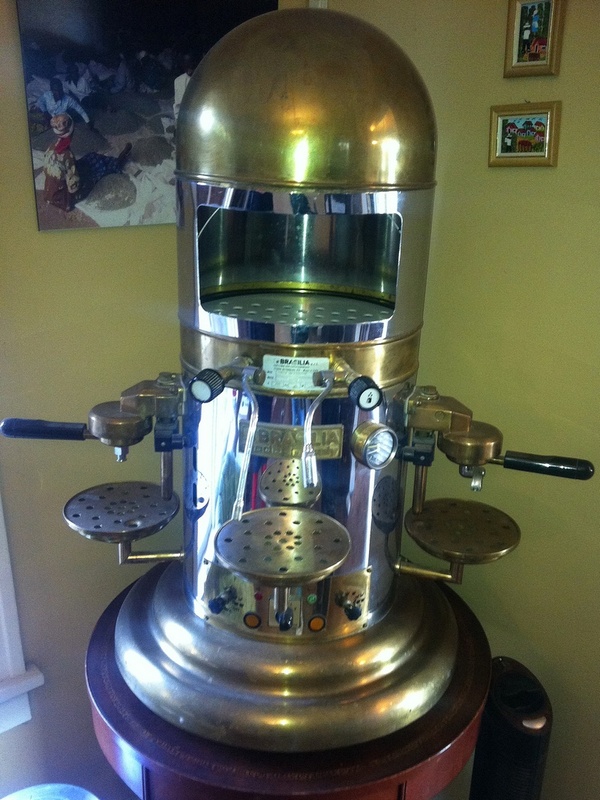 Oh and by the way PID and pressure control machine used for espresso. 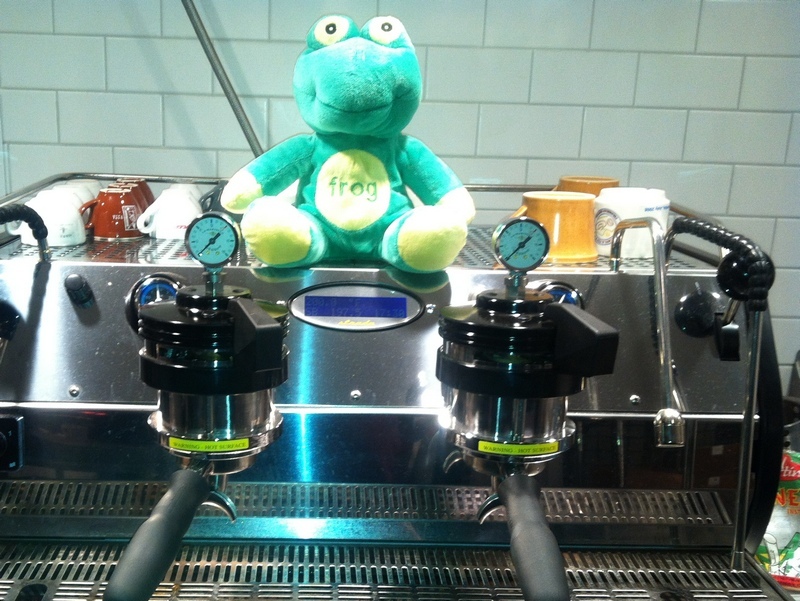 Frog Quaffer had espresso 10, 11, 12 & 13 of the day. It was good. Finally we made it back via the bus to our hotel and crashed around 8pm.